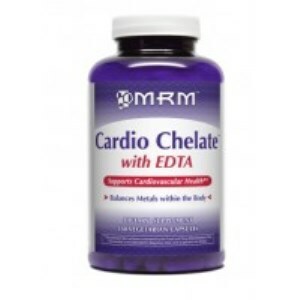 Cardio Chelate with EDTA is an arterial support formula based on the well-researched compound ethylenediaminetetraacetic acid (EDTA), which has shown in clinical studies to bind metal ions in the arteries and veins through its powerful chelating capability. 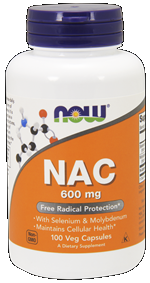 Methyl-Sulfonyl-Methane (MSM) and N-Acetyl-Cysteine (NAC) are two sulfur-donating compounds that increase cellular glutathione concentrations, which is important for increased antioxidant needs during chelation. Along with Vitamin C, these compounds work together to provide optimum nutritional support for cardiovascular health. Suggested use: Take 1 capsule 3 times daily (maintenance phase) or 3 capsules 2 times daily (intense phase) on an empty stomach or as directed by your qualified healthcare provider. 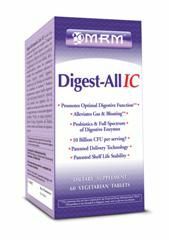 It is recommended to take multimineral at meals (2 hours away from EDTA supplement) during the chelation process. Note: For optimal benefits take Cardio-Chelate at least 2 hours before or after meals and away from multimineral. Other ingredients: Rice flour and magnesium stearate (vegetarian). Capsule is made of plant cellulose. Contains no milk, egg, peanut, tree nut, fish, shellfish, soy, wheat, gluten or yeast. I began using the product about a week ago (December 7, 2012). My blood pressure had been hovering around 130/80. After taking the product for 3 days, I checked my blood pressure at a neighborhood supermarket. To my disbelief, my first reading was 114/64. I took it again and it was 120/62. Upon taking another reading, it was 111/60! Since age 21, my blood pressure had been 110/70. Since growing younger, it had gotten as high as 152/84. Now at age 52, it is almost back to normal. Actually my diastolic pressure is lower. Question: How long is this treatment recommended for therefore how many bottles should I purchase? A: There is no specified time indicated for how long a particular person should take this Cardio Dhelate with EDTA. You may take as long as you and/or physician feel is necessary. The dosing instructions are as follows: Take 1 capsule 3 times daily (maintenance phase) or 3 capsules 2 times daily (intense phase) on an empty stomach or as directed by your qualified healthcare provider. 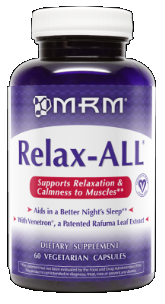 It is recommended to take MRM's Multimineral at meals (2 hours away from EDTA supplement) during the chelation process. A: We are not aware of the local availability of this supplement however you can purchase it online directly from seacoast.com as we do ship to the Philippines. Question: is this product suitable for purifeing zeolite? A: This is something you may want to confirm with your physician. Cardio Chelate is formulated to balance the metals in the body and support cardiovascular health.